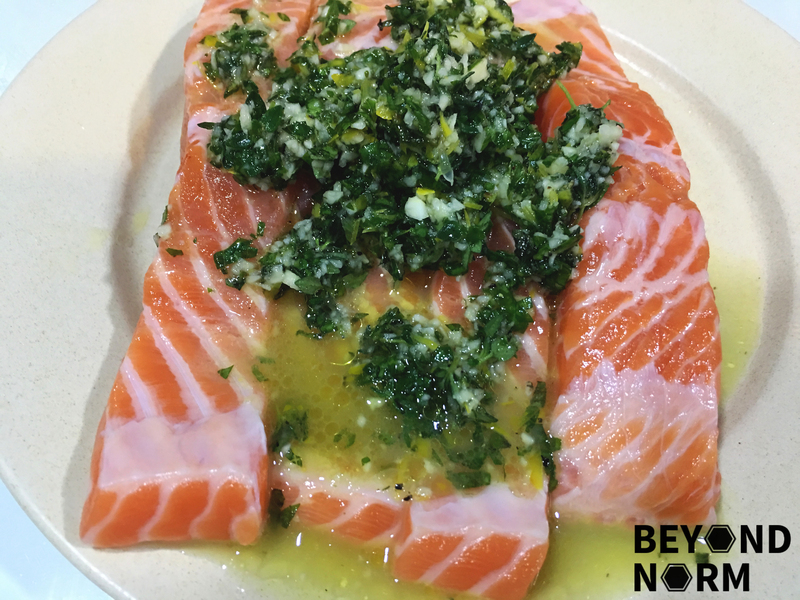 Salmon is such a versatile fish that it can be eaten almost any way you like it — raw (make sure it is really fresh, sashimi grade of course! ), baked, grilled, or pan fried. It is an easy way to get more heart-healthy Omega-3 fatty acids into your diet. 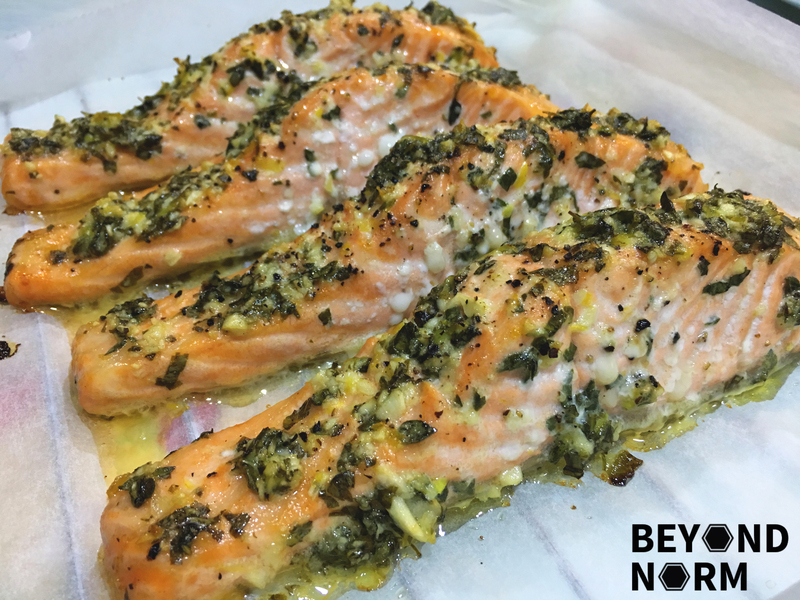 I normally choose Salmon fillets which have some fats so that after cooking they are still juicy and not dry. By dressing them up with some hollandaise sauce and serving it alongside some blanched asparagus, or any greens of your choice, this dish can turn into a gourmet meal. Another simple and easy meal to prepare to impress your family and friends this season. We love to hear from you so once you have tried this recipe, we hope that you could provide us with some feedback/comments either via our blog or by joining our Mummy’s Kitchen Facebook Group. You can also like us on Beyond Norm’s Facebook Page or subscribe to our blog via the right sidebar to get the latest updates. In a small bowl, add in the marinating ingredients and mix well. 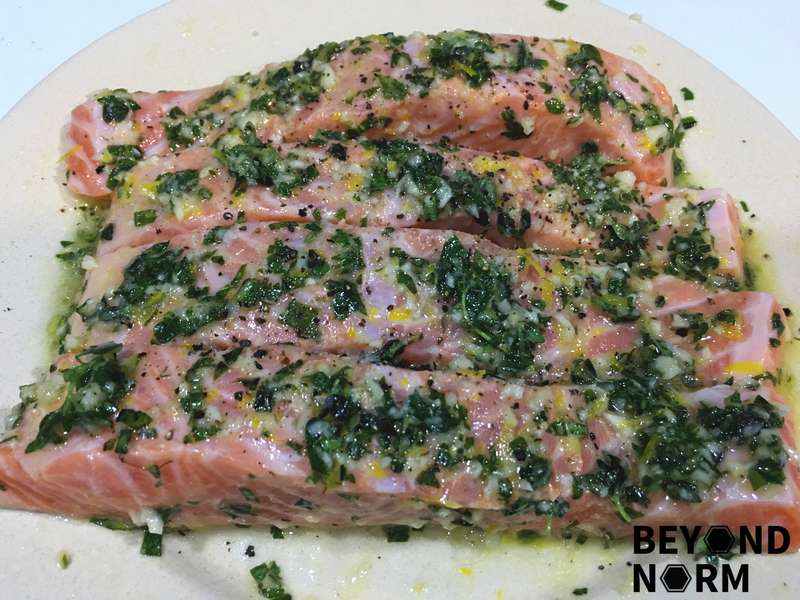 Place the salmon on a dish and pour the marinade over it. Marinade in the refrigerator for 1 hour (or longer), turning occasionally. Place fillets in the center of a large piece of foil/baking sheet and pour the marinade over them. Roll up the sides of the foil, closing it around the salmon. Cook for 30 to 40 minutes or until fillet flakes with a fork. Rinse the asparagus and cut 1 inch off the bottom stems of the asparagus. Peel off ⅔ of the skin of the stems with a peeler (optional). Cut each spear into half. Add some water, oil and salt to the pan and bring it to a boil. Add the asparagus and cook them for 3 to 4 minutes. Remove from the pan and dish them on the serving plate. Heat butter in a saucepan over low heat until hot and foamy, but not browned. When the butter has melted, take it off the heat. In a heatproof bowl, put the egg yolks over a pan of gently simmering water. Add in the lemon juice, salt and mustard and whisk well. 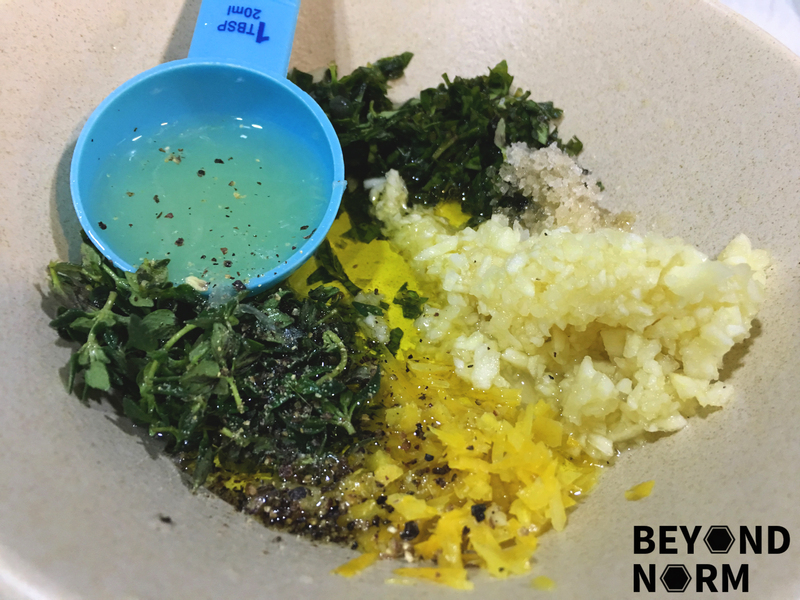 Gradually add in small drizzle of melted butter into the bowl with the yolks, whisking well between each addition. 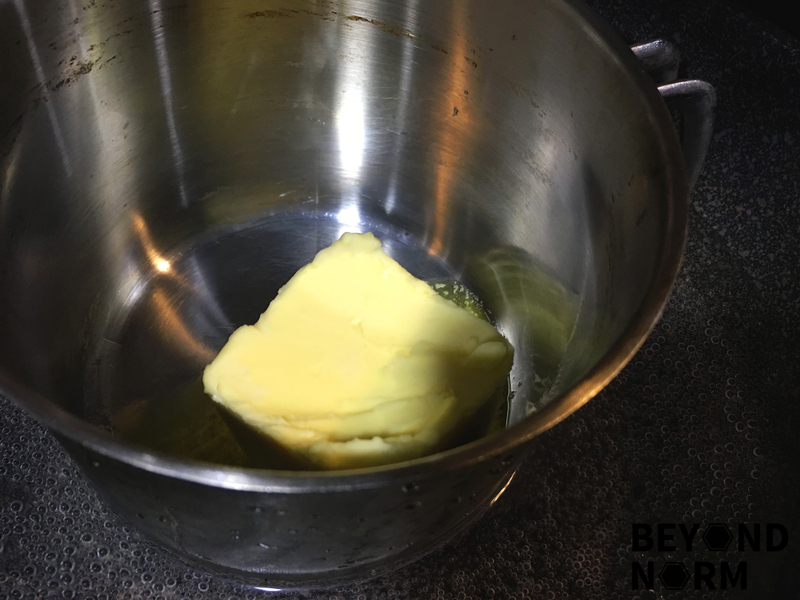 Once all the butter is incorporated, you should have a smooth, thickened sauce. Loosen the mixture with some white wine vinegar if needed. Serve immediately on salmon and asparagus. If you are not serving right away let it stand over warm water for up to 30 minutes.